Is anyone thinking about Thanksgiving already, besides me? 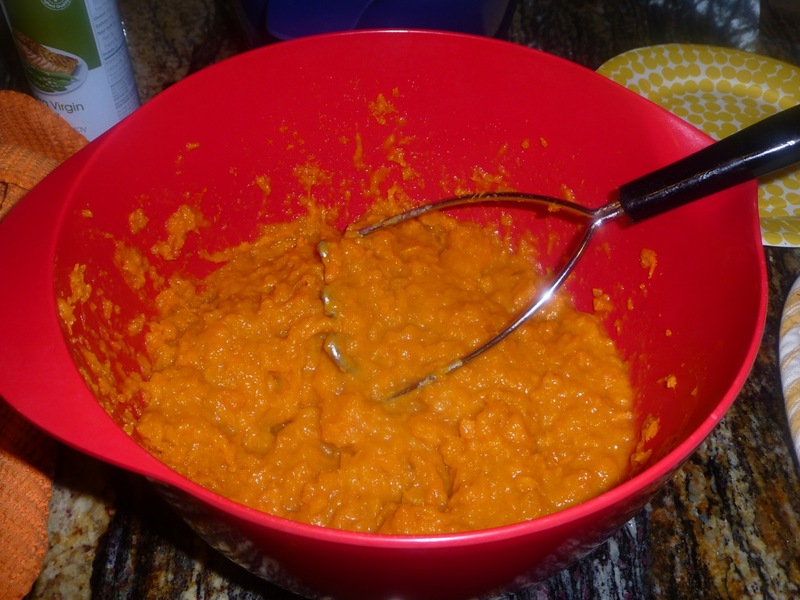 I’ve already tried one paleo sweet potato recipe but thought I’d try another one as a side dish for one of our dinners. This one turned out pretty good — yes, pretty good. I would definitely feel comfortable serving it to any guests we might have. Those sweet potatoes will need to be baked until they’re cooked, skin removed and then mashed. After all the ingredients for the “inside” are put together they will be put in a casserole dish and then the topping will be layered on top and then baked. Bake your sweet potatoes until a fork pricked through the thickest section of the potato goes through with no resistance. (The potatoes will probably be “leaking” by now.) Remove the potatoes from the oven and let them sit until they cool. While the potatoes are cooling, work on your topping (see step 9). Once cooled, peel the potatoes and put them in a bowl then mash them well. 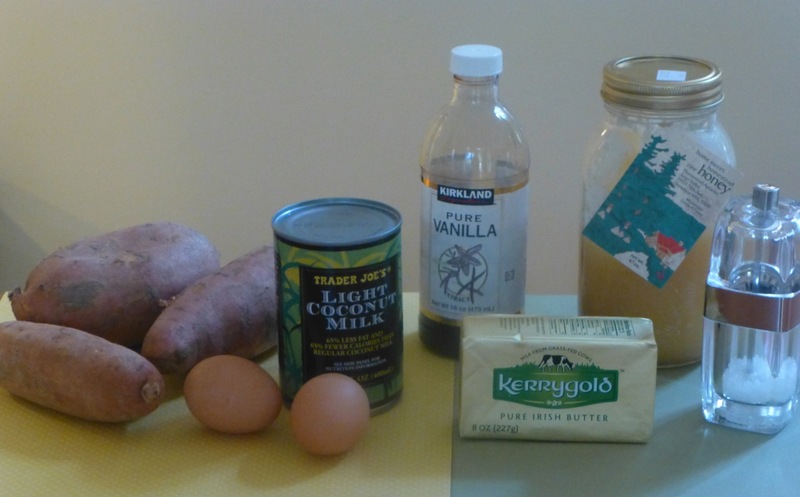 Add the honey, eggs, butter, coconut milk, vanilla and salt to the mashed sweet potatoes. Combine all the ingredients thoroughly. Add the potato mixture to a 9×9 baking dish. 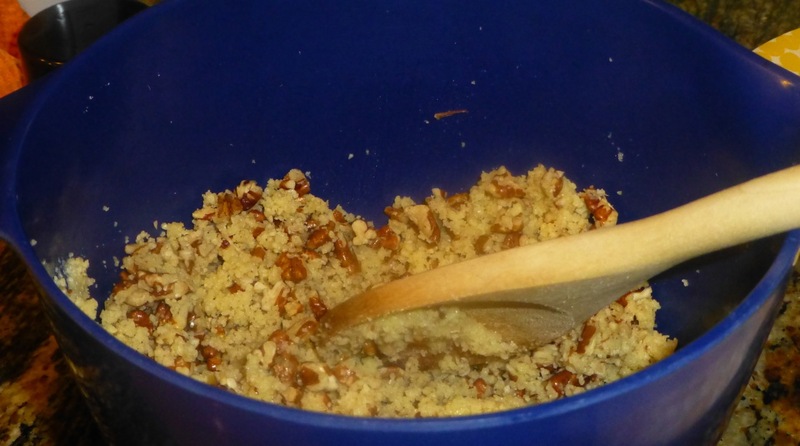 Place the almond flour, coconut flour, honey, salt and butter in a medium bowl. 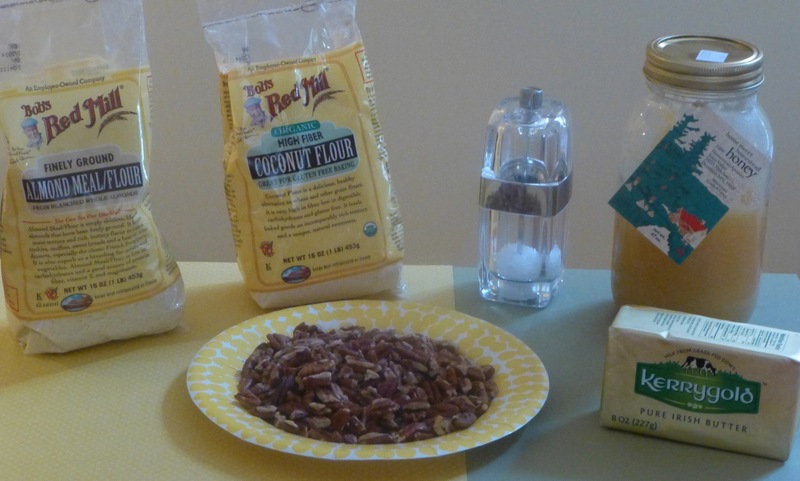 Stir to combine the ingredients well. 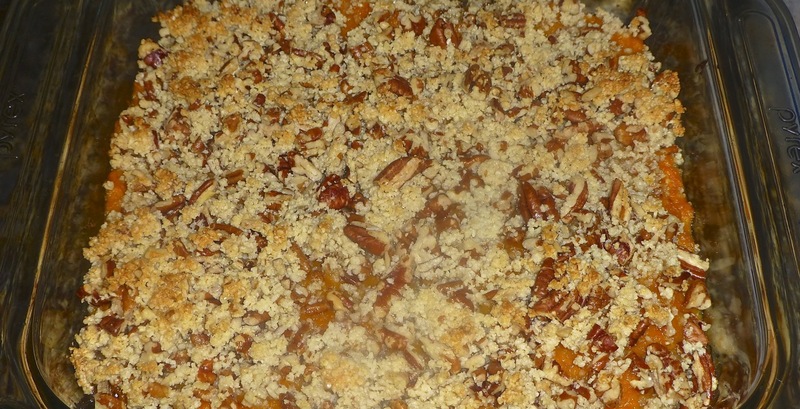 Add the pecans to the topping mixture and stir to combine. Sprinkle the topping mixture in an even layer over the sweet potatoes. My picture didn’t come out the best but this tasted great! Special thanks to Deliciously Organic for this recipe.